On Saturday night, Misty Copeland had her New York début as the Cowgirl in Agnes de Mille’s “Rodeo.” She was fantastic: funny, relaxed, charming, touching. A natural comedienne. It was a side of her dancing I’d never seen, a brilliant bit of casting against type. (Copeland is usually cast in either more contemporary work, or classical variations, or parts that highlight her natural glamour.) But last Saturday she threw herself into De Mille’s dopey character heart and soul, and brought the audience along for the ride. 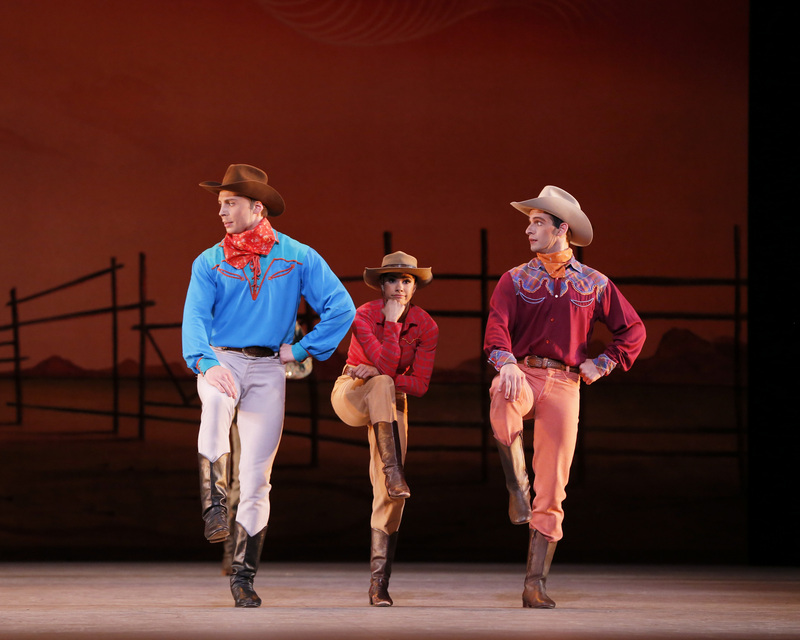 Roman Zhurbin, Misty Copeland and Craig Salstein in Rodeo. Photo: Marty Sohl.